The Affordable (And Ethical) Brand You Need to Know - Beckett Simonon | Valet. Any regular Valet. reader is likely familiar with Beckett Simonon. The Colombia-based direct-to-consumer brand has been around since late 2012 and made a name for themselves with their reasonably priced fine footwear. But they've just recently rolled out an innovative new pre-sale business model that will allow them to continue making high-end pieces, made by hand with integrity, at prices that best the average mass-market mall brand. "Our overall message at Beckett Simonon is that it's better to wait a few weeks for a product that will last you a lifetime, instead of immediately getting something that will only last a couple of months," says co-founder Nicholas Hurtado. "It's the very definition of slow fashion." 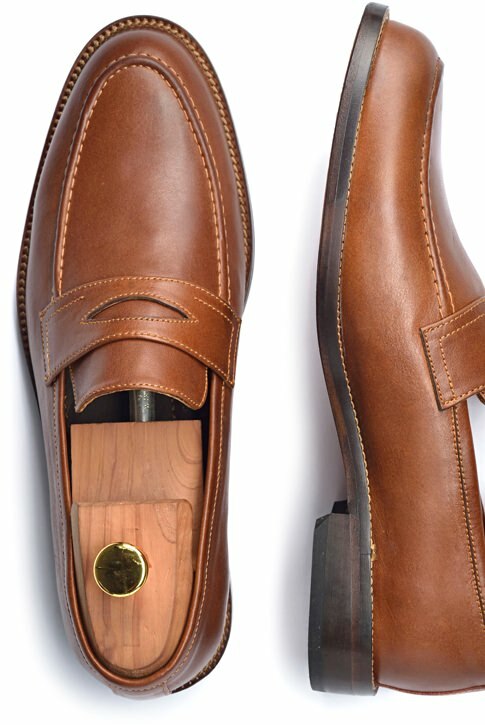 Save even more with our exclusive code and get a pair for just $149 (plus a free pair of cedar shoe trees). Aiming to change the way premium clothing and accessories are offered to consumers, the brand is proposing a more modern way of shopping: A new "campaign" or collection of premium products will drop on the first of every month, with a tightly edited handful of styles. Everything is made-to-order, and prices are cheapest at the beginning of the month: For the first 15 days of the month, you'll pay half of the item's price; for the latter half, there's a slightly less generous discount (usually around 45%). The idea is that the earlier you buy, the more you save. The current roster of products will only be available until May 31st. Then, once the campaign closes, manufacturing begins and the item is shipped directly to you. What's more, you can feel good about how the pieces are made. Beckett Simonon only works with ethically and environmentally responsible factories, using vegetable-tanned calfskin leather. "Our processes are mostly made by hand," says Hurtado. 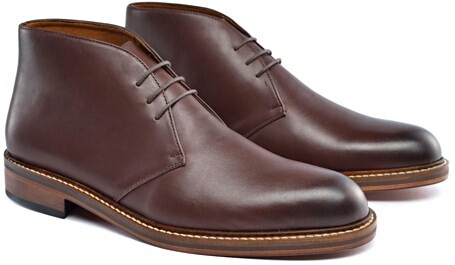 "And our shoes are made with a handcrafted blake-stitch construction, which is common in high-end Italian footwear." But unlike those high-end pairs, these are a lot more attainable. 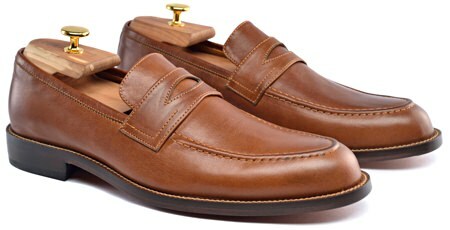 Lightweight, modern loafers that are both comfortable and versatile. Ruggedly refined chukkas with waxed cotton laces. Both styles are available in three shades of full grain calfskin leather and constructed using the flexible Blake sole construction. A cork midsole molds to your foot for a personalized fit. They're finished with a soft leather lining and extra durable rubber heels. 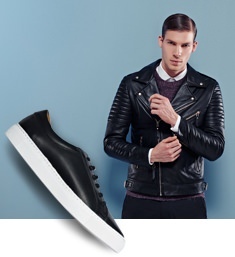 Earlier this spring, they produced a leather biker jacket and minimalist sneakers. In the unlikely case that a customer won't absolutely fall in love with their purchase, they have 90 days to return it. What's more, Beckett Simonon will refund 120% of your order. 100% to your original payment method and the extra 20% as a gift card towards your next purchase. Well-made, stylish and shockingly affordable, you won't find a better deal out there.